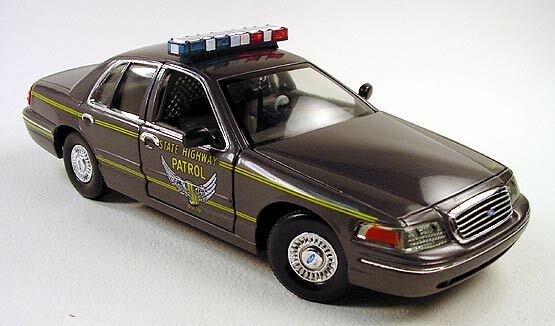 I bought this '99 Ohio State Highway Patrol Car Ford Crown Vic die cast replica a few years ago. 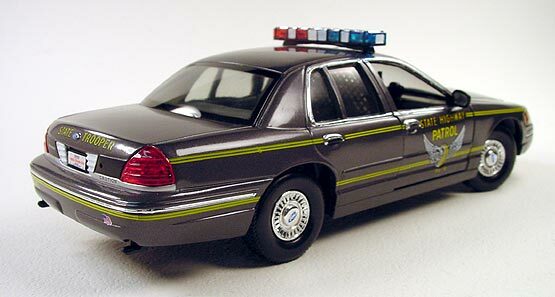 After sitting it next to my '96 Ford Crown Vic OSP model that I built from the Lindberg kit, I thought it lacked a little detail. I added bare metal foil to the window trim and grill. I also detailed the light bar and interior. I think these changes added a bit more realism and it makes a nice addition to my display case.